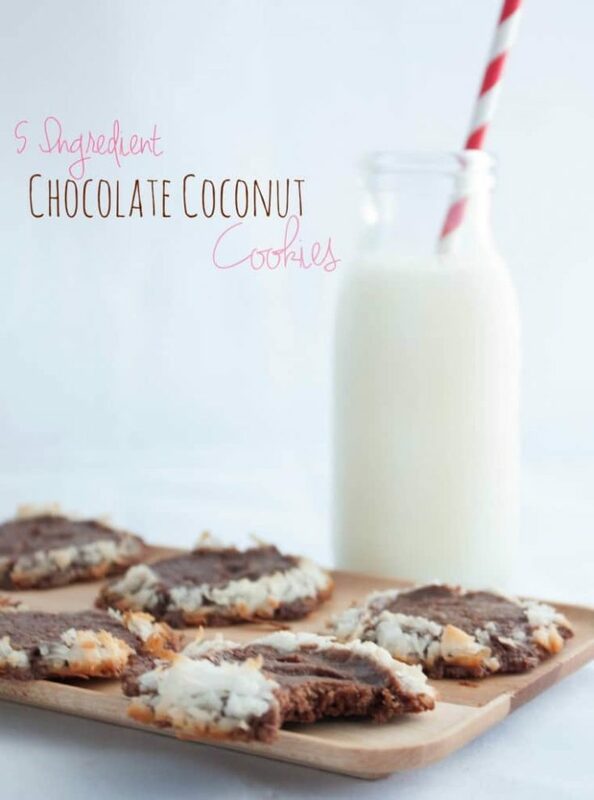 With only a few ingredients, you will have chocolatetly and coconutty cookies in minutes! One of the keys to making these bad boys is letting the dough cool so that you can just slice and bake them…with my patience running low some days I have to force myself to leave the kitchen otherwise I will angrily stare at the freezer and say ‘freeze faster’ to which my husband replies from the other room ‘honey, it’s not going to freeze faster if you yell at it’ (since I’m in the kitchen and he can’t see me…insert some unseen eye rolls here lol). After you do your obligatory waiting for the dough to cool, you simply slice and bake the cookies, let them cool a little, and viola, you’re all done! 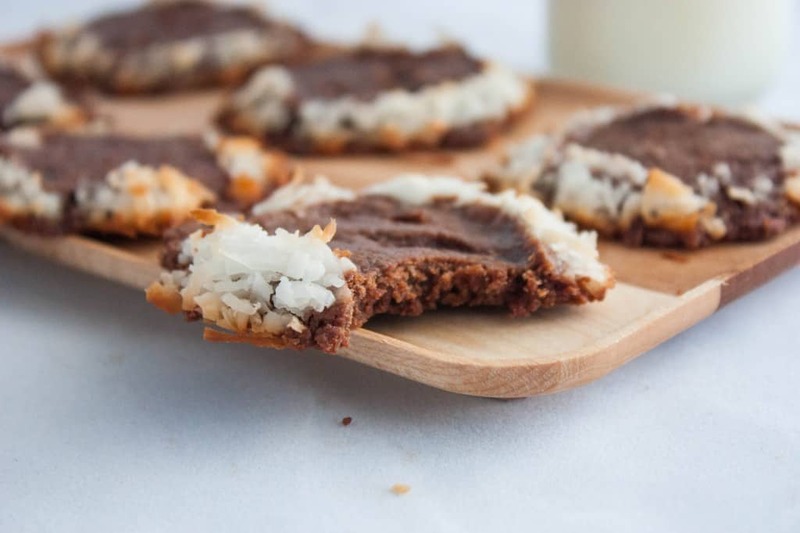 What I love about these cookies is that they’re perfect for making ahead; you can even keep a batch made and freeze them for last minute guests, and trust me, your guests will love you forever for making them these fresh cookies! 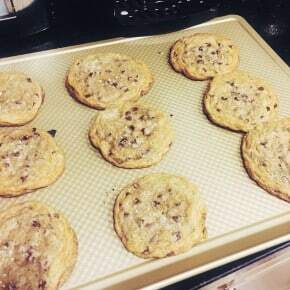 Line 2 cookie sheets with parchment paper or non-stick baking mats and set aside. When the butter is done being microwaved add the sugar and stir. Then add the flour and stir so that it is a dough. Now in a small microwave safe bowl add the chocolate chips and microwave them in 30 second intervals until melted (mine took 1 minute and a half), make sure to stir between intervals so your chocolate doesn’t burn! 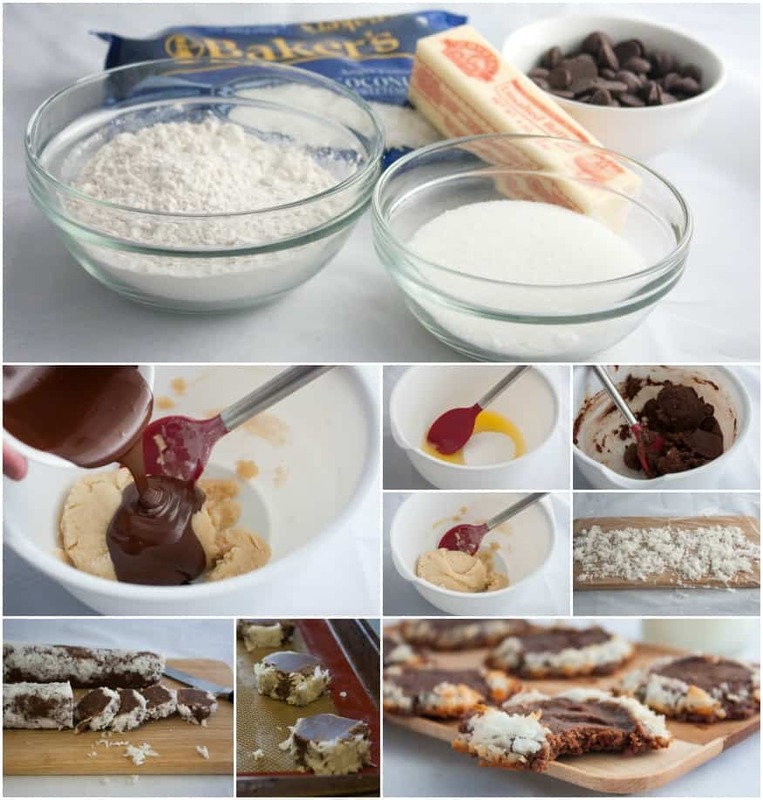 Add the melted chocolate to the cookie dough and mix it in until it is all incorporated. Now lay a piece of plastic wrap on top of a board and lay the coconut flakes on top of the plastic wrap. Roll the plastic wrap around the log and put in the freezer for 30 minutes. After the dough has cooled, remove the plastic wrap and slice cookies about ½ an inch thick and place them on the lined cookie sheets an inch apart (I got roughly 24 cookies). Bake for 12 minutes, remove from oven, allow to cool for a few minutes, then gently transfer to a cooling rack and allow to cool for 10-15 minutes, then serve and enjoy! 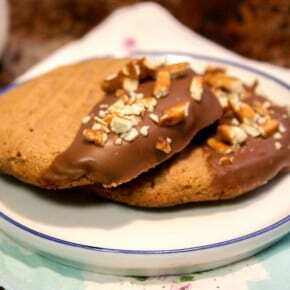 I love a great slice and bake cookie, and these look like they have a wonderful texture! I am dying for one of these!! It’s like a macaroon but better!! Thank you for that lovely comment Liz, you’re so right…these are like a macaroon…but better!! I seriously cannot believe these are only five ingredients! You are a master. Awe, thank you lovely lady! 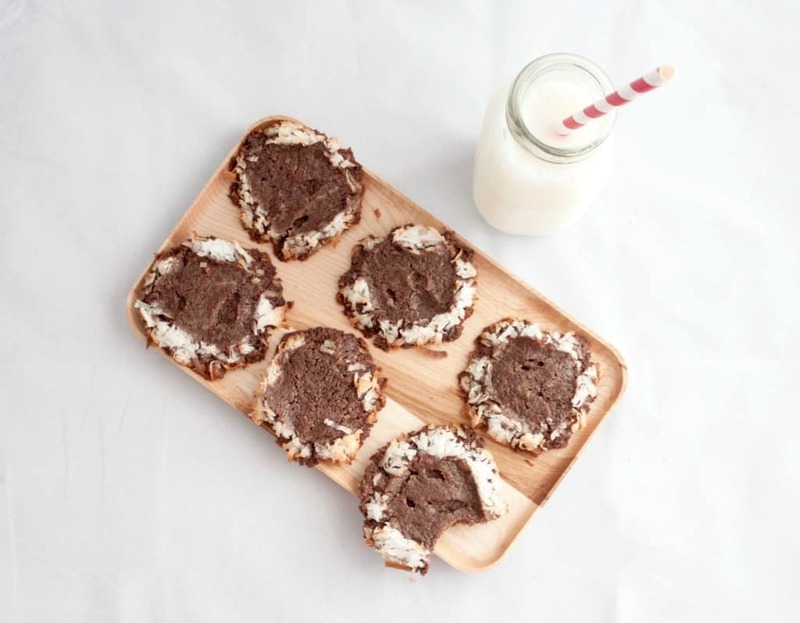 I love seeing what can be done with five ingredients on Fridays 😉 and these cookies will not disappoint, they’re so yummy, and since they’re slice and bake – they’re super easy to make! 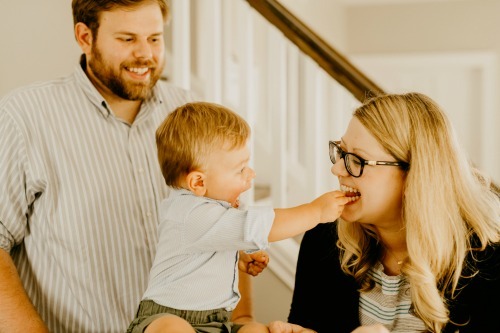 These looked awesome when I saw them over on Meg’s site!! And 5 ingredients?? You just can’t go wrong with that! Thanks for commenting beautiful lady, I’m always looking at your blog for fun decor and diy ideas!